What are the potential benefits of aspirin desensitization and aspirin therapy? What should I expect during the aspirin desensitization? The desensitization process at Brigham and Women’s Hospital is generally performed in an outpatient clinic setting over the course of one day, though for some patients with severe asthma or a history of every severe reactions, admission to our hospital for the desensitization may be preferred. You will initially be given a very low dose (20-40 mg) of aspirin, and gradually higher doses of aspirin are given every 1.5 – 3 hours while you are closely monitored. The symptoms and severity of reactions vary from person to person, and therefore the exact protocol for each desensitization procedure is determined individually for each patient. Throughout the desensitization procedure the nurses and doctors will monitor your progress and evaluate your lung function by recording your peak expiratory flow/FEV1. For this breathing test, you breathe into a mouthpiece attached to a recording device so that we can measure your response to each step. Following an aspirin-induced reaction and after you have been treated with any medications needed to stabilize your condition, further doses of aspirin will be given, starting with repeating the dose that you reacted to. Generally there is no additional reaction to the same dose when it is repeated. The desensitization is complete once you have received 325mg of aspirin (one “adult” aspirin tablet) without further reaction. After desensitization, you will be go home on a regimen of 325mg or 650mg of aspirin twice a day, depending on your individual case. Yes. Even if you have had a severe reaction after taking aspirin or an NSAID, oral aspirin desensitization can be done safely. Many patients experience only minor symptoms, especially if they are given montelukast/Singulair as a pretreatment before beginning the desensitization, which would be determined individually for each patient. You will be closely observed throughout the desensitization and multiple breathing tests will be done to ensure your safety. As soon as you begin to have symptoms, you can be given treatments to quickly and effectively reverse the reaction. 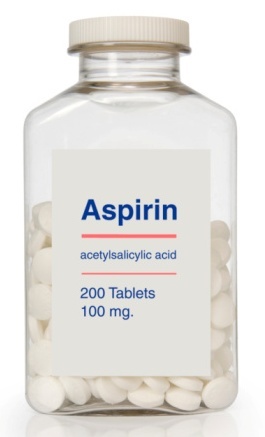 Long-term risks from daily aspirin therapy may include abdominal pain or bleeding of the stomach or stomach ulcers. Taking an antacid may lessen stomach pain and medications that decrease acid production by the stomach, like omeprazole/Prilosec can also prevent stomach pain. Aspirin also limits blood clotting, so you may note that you bruise more easily and bleed longer if you cut yourself or have surgery. If you start bleeding uncontrollably from anywhere in your body, you should immediately stop taking aspirin. You should not undergo an aspirin desensitization procedure if you are pregnant, and if you become pregnant, you should immediately stop taking aspirin.